This was the mask that I was most excited about. It is said to have whitening/brightening effects which is something I badly need right now. The smell of the mask was okay. Again, I liked how refreshing all these masks are. However, for this particular mask, I did not see any brightening effects as it claimed. Utterly disappointing! Oh, this mask also added those red bumps on my face. I shouldn't continue testing out the mask after the initial one broke me out....I know...I'm very brave right? 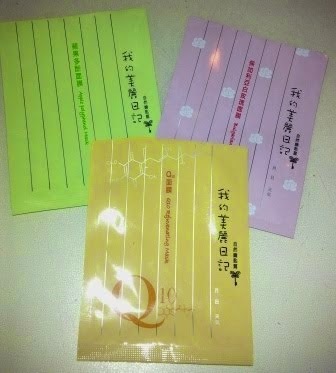 So brave that i feel like smacking myself... Haha..
Out of 3 masks that I've tested, this is the one I liked the MOST! The smell was good and I liked the after effect of the mask. This mask really did soften and brighten up my face. It also did sorta minimize my pores! I think I will repurchase this just to test out to see whether it'll break me out again. It will be such a shame to only give one chance to such a good mask. If not for the fact that the masks broke me out, I would definitely rate them higher. This is so darn sad! If you wanna know how the packaging looks like, check this post. Noticed those little red bumps? I'm going out for lunch soon! Have u're having an awesome weekend! I think new skincare products can easily make people break out...I feel sorry it doesn't work for you:( but my skin is not that sensitive and I am totally fine with this mask ._. p.s. i am excited for your future elf post! I'm a big fan of facial masks, but I haven't tried the beauty diary masks. I hope your skin gets better. Btw I can't wait for your post about the 10 items from ELF. Locke - Thanks for dropping by. Tht post will be coming up really soon. Hope ur day's going great too! Mara - This is my first time trying those masks too. Yea..really hope they get well soon! Thanks for dropping by! Girlie Blog - It's really such a shame about the mask! Wish it had worked better for me. Make up makes me happy too! Haha..I'm addicted to them. Thanks ladies for the comments! Hope all of you are having an AWESOME DAY! oooh no !! =( i really wanted to try these !! do you have oily/dry skin? Sorry to hear about your break outs but maybe you don't have to be too worry about it! Cuz sometimes you break out cuz of all the deep dirt that was underneath you skin are trying to come out. so that is why you break up. Just stop the mask for now and I'm sure you will be okie ones the break out wears out! Yups..stopped using them for a few days now. 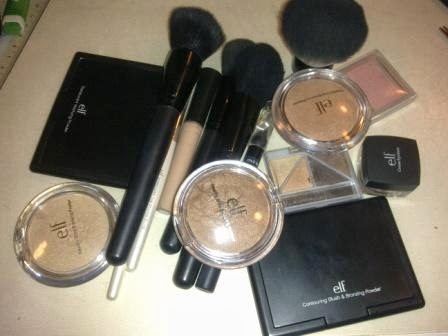 But i'm actually planning to try them out again once my break out heals..haha..